I honestly wasn't excited about waking up super early and doing this swim. 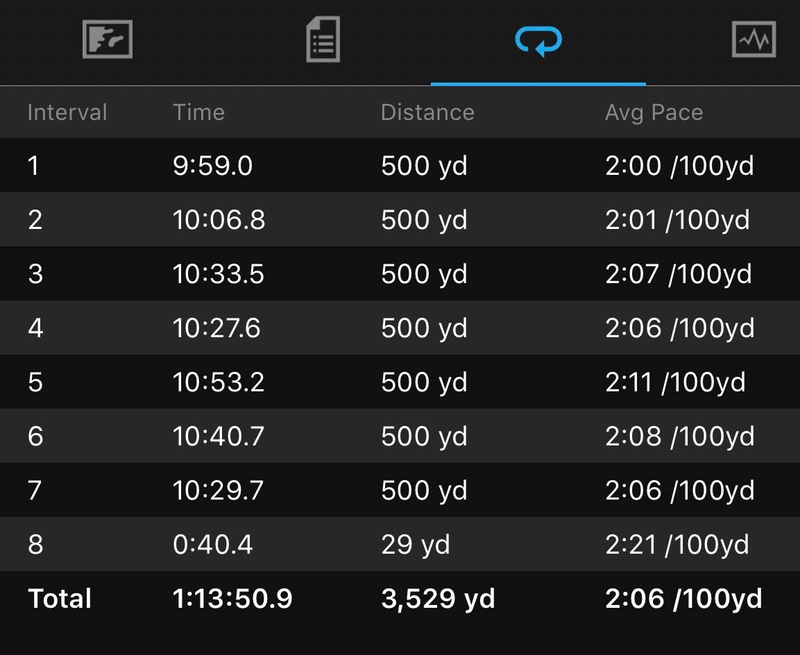 I was glad the rain had held off, but still wasn't feeling like swimming back-to-back events, especially with a break between them. I had to park about a half mile down the road, and immediately John from swim camp. We made the trek to the lake entrance together and settled into the long registration line. I was already a sweaty mess when I finally got to the Team Z tents after standing in that long registration line and then another line for the port-o-johns. Getting a wetsuit on in those circumstances is HARD WORK. Luckily a few of my teammates and my childhood friend, Allison, were there to offer support and assistance. Once it was on, everyone said it was time to walk over to the start area. I will say that I was pretty frazzled going into that first event, not having a moment to myself since I arrived at the lake. In all the bustle, I had forgotten to put on my tri-slide and sunblock, and was worried about that. I hadn't really had a minute to catch my breath and think about my game plan. I suddenly found myself standing in the start line hoping that my timing chip was going to stay on, since I didn't have time to find a safety pin to secure it. Finally after announcements and the national anthem they started moving people into the water. I was in the 10th wave and getting impatient as we slowly made our way up for our turn to walk over the timing mats. The water temperature was 68 degrees which felt fine on the wetsuit but provided a bit of a sting as I dove in with my bare face and arms. 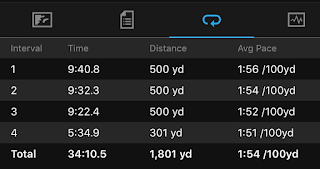 I was immediately uncomfortable in the wetsuit and with my goggles but was able to make some quick adjustments as they counted us off. Ready - Set - Go! We were off and I thought to myself, just take it easy, get your head in the game and find your rhythm. I avoided people the best I could and made my way into the first cove and around the buoy. 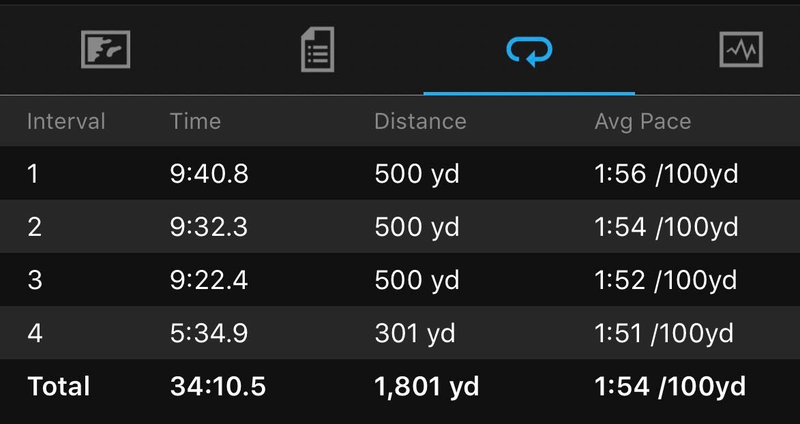 I glanced at my watch when it buzzed for the first 500 yard split and was shocked to see less than 10 minutes - WHAT?? During the break, my body kept cramping up. I went to adjust my wetsuit and my hand froze in a claw position. Everytime I moved my hands, they would cramp up. And I was dizzy, not as bad as I have felt in the past after a hard swim, but definitely dizzy. I didn't have my ear plugs (still in the bag I took to swim camp) and I hadn't taken any ginger pills. I mentally put both of those items on the "do not forget" list for bay swim. My teammate offered me some food, and I took it, and had already had a bunch of water. Not sure what to think of this other than to make sure I have some salt tabs with me for the bay. But this is weird after only a single mile. And I still had 2 miles to go? I really had zero desire to swim 2 more laps around that lake, but it was time to start making our way over to the start area again. I did remember to put some body glide on my neck and apply sunblock. what I did not remember was that our swim coach had recommended that we practice nutrition by stuffing a gel packet into our wetsuit. During bay swim we will be on our own for nutrition, and 3+ hours is a long time on the water. I guess that will be a game-day situation. Anyway, there we were back in line for the second event, and I ran into a few others from swim camp - Brian, Tom and Susan, and I think a couple of them will be at the Chesapeake Bay swim also. More familiar faces! I still had some cramping, especially in my left hand, but I tried to ignore it as I settled in to the first of two loops for the 2-miler. Allison wasn't doing this event and instead walked along the edge of the lake cheering. I followed her until the turn around the first buoy and even tried to wave once. The next section to the end of the lake felt longer this time and I started feeling the wetsuit on my neck, despite the body glide. Ouch, ouch, ouch, with every stroke. Nothing I could do about that now. At the first split, I could tell that I was slowing down, but I was still going faster than my original predictions for this event. 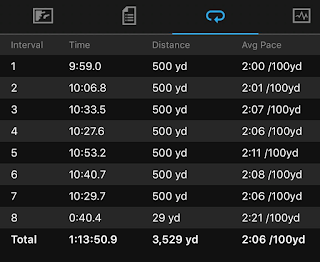 For comparison purposes, the practice swim I did in Luray last month was 2:43 /100yd and just over a mile and pretty similar conditions (or dare I say this lake was even a little rougher than the condensed course of the practice swim). I was blowing this pace away today! And I was passing people. A lot of people. It really helped that everyone separated out pretty well and I didn't have to worry about getting kicked or swum over. Finishing up that first loop was a good feeling and I just had to go around one more time. One more time swimming into the cove. One more time with the long stretch to the far end of the lake, which I am pretty sure felt longer and longer each time (though the map shows me turning in the same spot each time... huh). One more long straight shot back to the drain, and one final time around the drain and I was on my way to the finish line. I was still passing people. I felt good, though I was a little concerned with how I would feel when I stood up, given how dizzy I felt after the one more event, and I knew my body was already reacting. I was so freaking happy to be out of the lake! To my surprise, I didn't have any issues standing out or walking over the timing mats. Allison was there taking pictures, so I met up with her and we walked back over to our area. Time for that wetsuit to come off! The cramping had eased up, though now my arms were shaking, likely a result of muscle overuse. I didn't feel too dizzy either. Phew, though I'm still going to make a point of making provisions for bay swim (ear plugs, ginger pills, salt tabs). I sat around with Allison and Kim for a little bit and we helped take down the Team Z tent. Taper time! Only one more long swim before the bay. Time for brunch! These ladies, Daz, Sweeney and his friend, Dave, met us for brunch. Then after a shower at Joann's house, a few of us went to a winery and out to dinner. I was exhausted by the end of the day and was happy to crash in my bed.